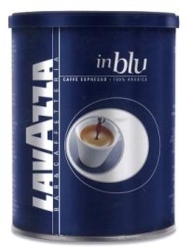 Lavazza In Blu is a full-bodied medium espresso roast with superb aroma and sweet, slightly pinchy aftertaste. Made of pure Arabica beans, coming from Brazil and elsewhere in South America. One case = twelve 8.8oz cans. $0.87 / oz. $0.84 / oz. $0.80 / oz. $0.77 / oz.